Earlier this summer I achieved a strange goal. Photographing 1 year of weddings. I wasn’t really keeping count until one evening when I decided to go through my calendar and see just how many weddings I had photographed. This was the Monday before before wedding 365 – I felt it was some sort of odd fate that this was the first time I had ever even been curious about how many weddings I’ve captured in my career. Being successful in a creative career takes about 50 hours a week in the beginning and 70 hours a week once you’ve ‘made it.’ Even with people that help edit, coordinate, and generally free my time, I still find that I work about 10 hours a day/7 days a week between the months of April and December. This isn’t only for wedding photography, this also includes my various other projects, like all the corporate video work I do over at Taylor Jackson Media, screenwriting and casting my next feature film in Paris, working on our Taco Documentary, and all the random projects that pop up in between. 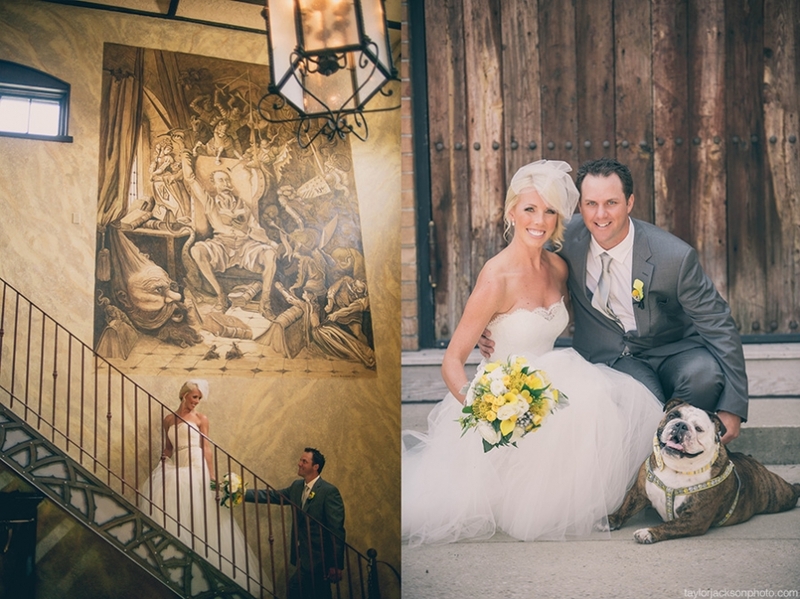 If you’re in Kitchener-Waterloo, get married at Langdon Hall or Hacienda Sarria. Cambridge Mill and Whistle Bear are also good choices. 2:30pm hair and makeup finishes up. 3:30 – 4:00 enjoy the fact that it’s your wedding day. Have a glass of champagne. 4pm guys start to greet/usher guests. 5:15 – 6:15 enjoy your cocktail hour. Enjoy some of the h’orderves you paid for. 6:30 dinner. Speeches either in between courses or all after. 3 – 5 minute limit speeches are the most pleasing. BM, MOH, Parents, B&G. Your MC should never say the words ‘If anyone has anything they’d like to say, the mic is open’ — there is no such thing as a great kissing game. Good luck here. 8:00 – 8:10 Go outside for a few quick sunset photos. 9:15 speeches conclude, and first dance. Do the father/daughter and mother/son dance during the same song, have DJ announce that the dance floor is open to all towards the end of the song. 10pm throw a bouquet. Ignore those that try and tell you a garter toss is a good idea. Enjoy the night. It’s a once in a life time experience. Bachelor Party/Bachelorette Party. Vegas. Go together or separate. Get a Terrace Studio Fountain View at the Cosmopolitan. Alternatively head to Germany and rent a Porsche 911 like Jason, one of my recent grooms did. Miami is also great. Stay at the W South Beach. Here are a few photos and a video from day 365 with Emilie and Dave. Emilie and Dave | Hacienda Sarria Wedding from Taylor Jackson on Vimeo.